pls try and improv more on it the keypad. jermaine, 02 Oct 2009i have just got it this fast few days, i haven't yet use it because the keypad is not working ... moreHi I encounted also the same problem with the keypad. The numbers 7 8 9 were not working. I got the keypad replaced. Maybe its a manufacturing problem. Please dont go with the looks of the cellphone. I purchsed this cell phone in the month of december 08 and within 6 months I had to face problem with the keypad, 7 8 9 was not working. I went to Nokia care and though they repaired it free, they took one month. I was without my cell phone for 1 month. Very Disappointing!!!! i have just got it this fast few days, i haven't yet use it because the keypad is not working 789,, i don't know yet if it's good, as of the moment, i leave it at nokia center, for it to be fixed. to improve battery life, decrease brightness. aldrin, 26 Aug 2009hi.. kinda new here.. just got my N7310 phone.. i was wondering if i can add antivirus on it? ... moreNo need of antivirus,this is not smart phone, virus cant install and can not harm, only computer viruses can be present in memory card, that can harm other computer only, dont warry about phone. only scan memory card from computer. Really bad model. Difficult to use the keypad. Battery stands to a maximum of 2 days. The problem is that for 1.5 days it shows that the batterys is full. Just in 3 hours the battery meter reading decreases rapidly before it gets empty. You never know when to charge it. for me this is a cool phone. i've used this for several months and it works good. features are cool and i just relly enjoyed it. it's just sad because i've lost it out of carelessness..
hey.guys.im having a problem in this seT ! whenever i delete few of my sent messages, and when i come back and check my sent messages folder, those same deleted messages are there ! i dont understand! is anyone over here having such problem ! please help me! and tell me if anyones cell (7310) hangs ! 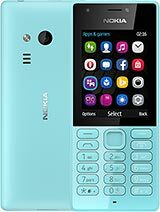 please adice me whether shud i buy this phone nikia 7310????????????? or any other good mobile???????????? this phone rocks and sooo totally cool. i like it's girly cover. features are good. two thumbs up fo nokia 7310 supernova..